If you’re toying with the idea of welcoming a parrot into your family, consider this first: Parrots can live up to 80 years! That means these playful and loving creatures are a long-term commitment. Full of life and personality, a parrot will become part of your family in no time if you employ the tips and tricks we’ve listed below. 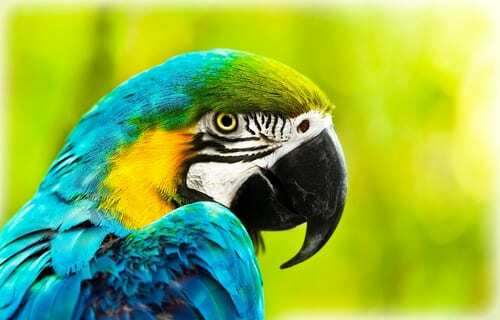 In learning how to care for a parrot, you can ensure that your new pet lives a comfortable, joyful life. Your new parrot will need a cage to call home. Cages come in a variety of shapes and sizes. As you shop, the most important thing to keep in mind is that the cage must be wide enough for your parrot to spread its wings. This is where your bird will spend most of its time, so you don’t want to buy a cage that’s too small. You’ll also want to pick out a small padlock for the door. Birds are incredibly smart and crafty creatures, so if you’re not careful, your parrot may figure out how to escape the cage. A padlock will ensure your bird stays inside its cage, where it will be safe when you’re not home. You can also add paper bags, boxes, and small towels to the cage to give your bird something to hide under. Security is important to most birds, so giving them something to snuggle up under can make them feel right at home in their cage. When it comes to learning how to care for a parrot, one of the most important things to figure out is the best location for the cage. Birds are sensitive to changes in temperature, light, and fumes, and they need good ventilation. Even fumes from cleaning chemicals, cigarettes, cooking gases, and new paints can harm your bird. For this reason, don’t position your bird’s cage in the kitchen. You might spend most of your time in the kitchen, but the fumes from cooking and cleaning could be fatal for your feathered friend. Another spot to avoid is near a window. It might seem like a lovely location with a great view, but direct sunlight can cause your bird to overheat. Drafts can also be a problem, which is why you should keep the cage away from vents, windows, and doors. But birds are social creatures, so place the cage in a room that gets a lot of use, like a living room where you can spend plenty of time with your parrot. It’s important to keep your bird’s cage clean, and the easiest way to do that is to clean the cage every two days. The best option for this is paper; it’s cheap, readily available, and easy to clean. Newspaper, paper bags, paper towels, or shredded paper all work well. Be sure to choose a cage that has a grate over the bedding; you don’t want your bird to have direct contact with its litter because it can harbor bacteria and mold. For a happy and healthy parrot, feed your bird at least once a day. Consult your veterinarian to determine how much food your parrot needs. Keep in mind that parrots need a good amount of fresh fruits and vegetables to supplement their mixed feed as well. Use nuts and seeds as treats to reward good behavior. Note that birds have sensitive digestive tracks. Foods that seem healthful can actually be harmful or even fatal for your parrot. This is such a common topic that Lafeber rounded up a list of foods that can harm your bird, including chocolate, avocado, onion, garlic, fruit pits and apple seeds, high-fat foods, high-sodium foods, high-sugar foods, and sugar-free candy. See the full list to learn the risks each of these foods poses to your parrot. One more trick on how to care for a parrot: Choose where you place the food bowl carefully. Like humans, bird tend to eat when they’re bored, so place your bird’s food as far from its perch as possible to encourage regular exercise. Birds are playful by nature, which means they love toys. Toys can help alleviate boredom if your bird is home alone for lengthy periods of time. They can also encourage exercise. Birds love to chew on toys and food, and chewing helps keep their beaks in top condition, so it’s important that you provide your parrot with plenty of chewable toys. Chewable toys include pinecones, rawhide chews, natural fiber rope, and tree branches. Some birds even like to tear up cardboard and corn on the cob. The good news here is that most parrots don’t require a lot of grooming. For many birds, nail and wing trimming will do the trick. The AAV guidelines suggest trimming your bird’s nails when they become sharp or uncomfortable to handle. Before clipping your bird’s wings, consult your vet. Some owners choose to not clip their birds’ wings in order to let their birds fly around freely. If you choose to leave your bird’s wings unclipped, be sure their flying space prevents escape. Finally, let your bird bathe often. Most birds enjoy splashing around in the bath to keep their feathers in immaculate condition, but each bird is a little different. Some prefer to shower in a sink or under a faucet, while others like to be misted from a spray bottle or splash around in a shallow dish of water. Give your bird plenty of access to water to see which bathing method he or she prefers. Have more questions about how to care for a parrot? If you live in Missouri, simply head to your nearest family-owned Petsway. Our knowledgeable team is always ready to help and will make sure you and your new parrot have everything you need to start your lives together. 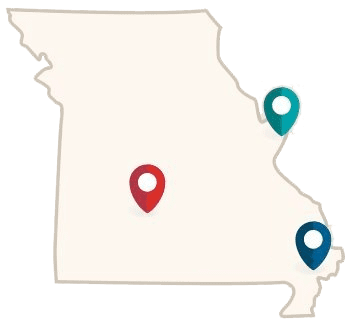 We have stores in Springfield, Nixa, St. Louis, St Peters, and Poplar Bluff, Missouri, which means we’re here for you and your pets whenever you need us. Visit our website to find your nearest location and learn more about how we can help you take care of the pets in your family.